Jack the Ripper Ghosts:-Chilling tales of Jack the Ripper Ghosts. Ten Bells Pub. Commercial Street E1. The Ten Bells Pub is indelibly linked with the legend of Jack the Ripper. Its interior, resplendent with a magnificent tiled wall panel depicting the days when this area was countryside outside the City of London, has hardly changed since the early hours of November 9th 1888, when Mary Kelly, Jack the Ripper’s final victim, left the pub. Her horrifically mutilated body was discovered next morning in Millers Court of Dorset Street on the opposite side of the road from the Ten Bells. Indeed, for many years in the 1970’s and 1980’s the pub was renamed the Jack the Ripper, until, thanks largely to a landlord who was tastefully selling dark red “Ripper Tipple’s”, the brewery decided to return it to its original name in 1989. In the late 1990’s live in staff whose bedrooms were on the upper floors of the building, were complaining of alarming encounters with a ghostly old man dressed in Victorian clothing. They would often be awoken by an uneasy feeling in the dead of night, and turning over, find his phantom form lying beside them on the bed! No sooner would they cry out in shock than the figure would disappear. Staff with no previous knowledge of his ghost would often report seeing him, and their descriptions would always be the same. Nobody had any idea who he was and those who had occasion to live on the premises, learnt to just accept him as the oldest resident. In June 2000, however, a new landlord took over the pub and decided to clear out the cellar. He found an old metal box hidden away in a corner, and opening it, discovered it contained the personal effects of a man named George Roberts. The items dated from the early 1900’s and with them was a brown leather wallet, inside which was a press cutting of the same period that talked of his having been murdered with an axe in a Swansea Cinema. Further research revealed that a man named George Roberts had indeed kept the pub in the late 19th and early 20th centuries and the landlord concluded that it was his ghost whom staff had been encountering. A tenant who lived on the premises in 2001 would often hear footsteps followed by a faint peal of laughter outside his door, even when he was the only person on the premises. Whenever he went to investigate he would find the corridor outside empty. Going down into the bar to investigate further he would often be pushed hard on the back by an invisible hand. A psychic was once brought to the pub to see what she could pick up on the premises. Having reached the top floor, she paused outside one of the rooms and refused to go any further. She said that she could sense that something terrible had happened in the room and was almost certain that it involved the brutal death of a baby in the 19th century. 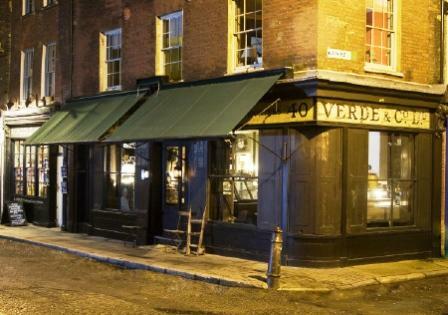 Lindsay Siviter, a leading researcher and expert on the Jack the Ripper Crimes, was being shown around the pub a few years later and had been allowed access to the roof space. She noticed some material embedded in the floor behind the water tank and pulling at it found it was a sack tied at the top. Opening it she found it contained a mouldy set of Victorian baby clothes that appeared to have been slashed with a knife. Intriguingly the tank was directly over the room that the psychic had refused to enter. The Ghostly Leap of Jack the Ripper. If you stand on Westminster Bride on December 31st, and look eastwards as midnight approaches, you may well be rewarded with a sighting of the ghost of one of London’s most enigmatic criminals. For there is a local tradition that, as the first Chimes of Big Ben usher in the New Year, a shadowy figure will suddenly materialise on the parapet, and leap headlong into the murky waters of the Thames below. Legend maintains that this is the hour when, in 1888, Jack the Ripper killed himself by plunging into the river from this spot, and that every year since, his wraith has been condemned to repeat his descent into infamy over and over again. Should a festive visit be out of the question, on misty autumn mornings, a spectral barge has been known to drift towards the bridge, pass beneath it, but vanish before reaching the other side. Mitre Square is now surrounded on three sides by modern office blocks and bordered on its south side by the Sir John Cass Foundation School. Nothing remains of the Victorian square, save its cobblestones across which people hurry on their way to and from work, many not giving a thought that they are walking over the spot where one of London’s most infamous crimes occurred. For it was in the south-west corner of Mitre Square that the horribly mutilated body of Catherine Eddowes - the fourth victim of the murderer whom history remembers simply as “Jack the Ripper” – was discovered at 1.45am on the 30th September 1888. Local tradition maintains that on the anniversary of the killing, people have occasionally glimpsed Catherine’s spectral figure lying upon the spot where her life came to such a tragic and gruesome end. Jack the Ripper’s Second Victim. The north side of Hanbury Street is now covered by the sprawling mass of the buildings that were formerly the Truman Brewery. It was built on the site of number 29 Hanbury Street, in the back yard of which at around 6am on 8th September 1888, the body of Annie Chapman, Jack the Ripper’s second victim was discovered. In the days of the brewery it was often noticed that a strange chill drifted through the boardroom at 6am on the anniversary of the murder and it was also reported that Annie Chapman’s ghost was sometimes seen standing by the wall of the storeroom that occupied the spot where she died. 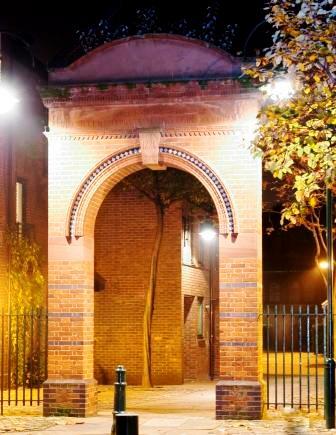 Why not explore the sites featured in this artcile on a Jack the Ripper Tour? 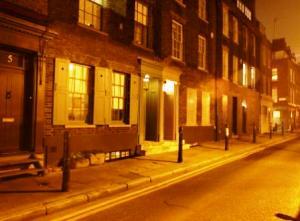 You can explore the murder sites and really get the feel for the whole story of Jack the Ripper. 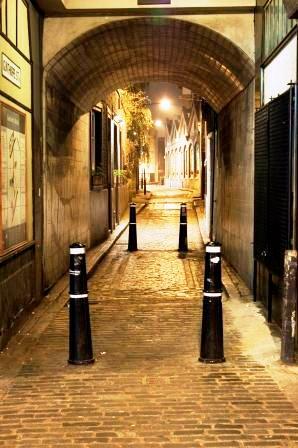 London's leading Jack the Ripper Walk sets of everynight of the week at 7pm and explores the old alleyways and throughfares where the infamous murders took place in 1888. Our Jack the Ripper resource site features lots of information about the Jack the Ripper Murders and gives you details of the history of the crimes and the area in which they took place, as well as about the victims, police officers and the Jack the Ripper Letters. Below you will find details of some of the books and dvd's we offer. They can all be purchased from our online shop. 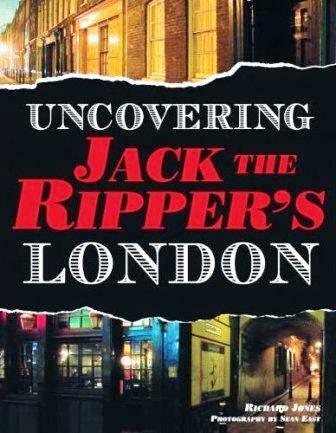 Uncovering Jack the Ripper's London takes a close look at the period over which the Whitechapel 'Jack the Ripper' Murders occurred in 1888. The book is lavishly illustrated with both full colour and evocative black and white photographs. The classic guide to London's darker and more sinister history. Walking Haunted London takes you on 25 spooky tours that explore the hidden and secret places where ghosts have been seen. The best selling guide to the haunted places of London. The book tells the story of each location and is lavishly illustrated throughout with truly evocative and atmospheric photographs. 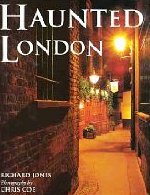 This is a celebration of all the ghostly and sinister places and things that London has to offer. 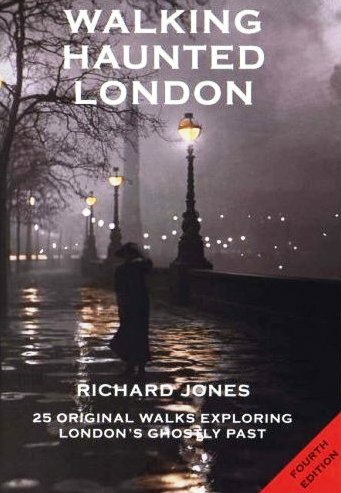 The text and images on this haunted London page are the copyright of Richard Jones and may not be reproduced, copied or otherwise used without the express permission in writing of the copyright holder.